Getting real with author JM Darhower! 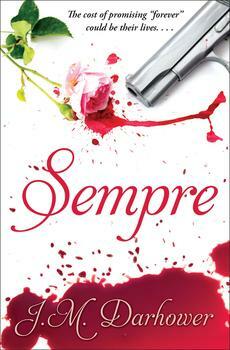 SEMPRE: REDEMPTION is the enthralling next chapter in JM Darhower’s bestselling SEMPRE series. Swearing allegiance to the Mafia in order to save Haven Antonelli—the girl he loves—forces Carmine DeMarco to make the ultimate sacrifice. Sent to Chicago to work for La Cosa Nostra, he refuses to place Haven in harm’s way by taking her with him. She deserves a shot at a normal life. But as he becomes more and more immersed in a world of terrible crimes, he realizes that surviving without her may be more than he is able to bear. Read below to get exclusive insight into how Darhower came up with the idea for this gripping page-turner. At the end of SEMPRE, Carmine and Haven are left in a tenuous place… things were quite unstable, the ground beneath them shaky. While Haven is finally able to make her own choices, Carmine’s future has been ripped right from him by the same people who had once tried to steal her life. How the hell does one deal with that? It’s a question I asked myself (over, and over, and over again) while writing this story. How would these two—the selfless girl, not used to making choices for herself, and the spoiled boy, just learning to think about others—react to this complete reversal? The answer to that is more complicated that I originally thought. I struggled some days, struggled making decisions for them, decisions that felt impossible to make. I practically pulled my hair out. I side-eyed a bottle of Cherry Noir Grey Goose. I started to wonder if I was turning into Carmine at times. I even felt guilty. I was sitting in front of my computer instead of being out there, living a life that someone like Haven would give anything for. I drowned myself in chocolate. I probably gained twenty pounds from the Toblerone alone. I laughed. And cried. And then I reached that point where I was laughing maniacally while sobbing, which made me wonder if maybe I was finally losing it. Frankly, at times, I grieved. My heart utterly broke. But then I found myself proud… so freaking proud. These characters are like real people to me. They are people with flaws, who make stupid decisions and get themselves into some pretty messed up situations. But they’re also people with strength, and courage, and determination, who make tough decisions in unbearable situations. Right or wrong, whether I agreed or not, I was proud of them. Because let’s be real… these folks have been through a lot. At the end of SEMPRE, the hell had just begun. But never once did I second-guess my writing. Never once did I hesitate to have them do what they needed to do. And that’s when I realized that maybe I wasn’t the one making all of those tough decisions. I wasn’t the one in charge. Sure, I controlled the keyboard, but they were leading the story where it needed to be (okay, maybe I am losing it). A question I get asked a lot is “Why Redemption?” The answer is in the story. It’s what every character in the SEMPRE series seeks in their own way. Redemption. Atonement. Salvation. They want a chance to make things better, a chance to right their wrongs, a chance to compensate for past mistakes. Some of them don’t think they deserve it, they don’t believe they can ever be redeemed, but they try anyway. Freedom from their guilt and burden. Freedom from the pain and heartache. They want a clear conscience, a slate wiped clean. They want forgiveness. And of course, there’s an innocent young girl, who just wants the chance to live her life as she sees fit. Because even if they don’t think they deserve it, I do. What happens next with Carmine and Haven? 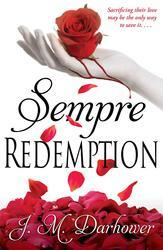 Download a copy of SEMPRE: REDEMPTION today to find out! A Mafioso Romeo & Juliet story...hot hot hot!